President Moon urges two countries to make bold decision, but analysts cautious about another ill-prepared summit. In a “warm, very positive letter” sent to Trump in recent days, Kim requested a follow-up to the Singapore summit in June, when the two countries adopted a statement widely criticized for lacking specific plans on the denuclearization process. “The primary purpose of the letter was to request and look to schedule another meeting with the president, which we are open to and are already in the process of coordinating that,” Sanders told reporters. President Moon, who has been playing a meditator role between Pyongyang and Washington, said Tuesday that the two countries should make a “bold decision” to achieve a breakthrough in stalled denuclearization talks. Scheduled to meet with Kim in Pyongyang between Sept. 18 and 20, Moon told his Cabinet members that he expects North Korea and the US to resume “sincere talks” to eliminate 70 years of animosity on the Korean Peninsula. US-North Korea negotiations have faced a deadlock over who should make the first move. North Korea demands that the US sign a declaration to end the Korean War, while the US insists that North Korea should first provide a detailed inventory of its nuclear program. “Complete denuclearization of the Korean Peninsula can only be resolved by negotiations between the US and North Korea. We can’t help but continue our efforts to mediate and facilitate the talks until their communication becomes smooth,” said Moon. The recent developments have raised speculation here that North Korea and the US might have exchanged views on how to narrow their differences over the sequence of the denuclearization process. Citing an anonymous source, local daily Munhwa Ilbo reported Monday that Kim had expressed his willingness to provide a list of nuclear facilities and willingness to undergo inspection in exchange for Trump’s agreement on declaring an end to the Korean War. In the letter sent to Trump, Kim is reported to have given his word to Trump that the country would declare its nuclear facilities and have them verified. 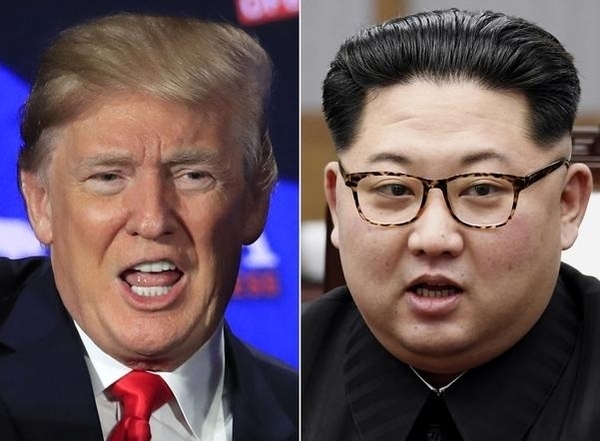 But Kim said the measure could be implemented only after Trump agreed to sign an end-of-the-war declaration, the newspaper reported. “Kim has reportedly proposed such a sequence: Making a commitment to denuclearization and inspection first, and later implementing them after the end-of-the-war declaration is made,” the source was quoted as saying by the newspaper. However, it is unclear whether Washington would accept the idea of relying on the North Korea in “good faith” until it follows through on its pledge to provide a list of its nuclear arsenal and have it verified by outsiders. White House national security adviser John Bolton said Monday that while the second North Korea-US summit is a “possibility,” the Trump administration is “still waiting for” North Korea to take significant steps on denuclearization. Kim has boasted that North Korea took sincere steps such as dismantling its nuclear testing ground and missile engine facilities, but those measures fell short of Washington’s expectations of final, verified denuclearization. “I don’t think doubters, such as Bolton, would agree to accept the end-of-the-war declaration unless North Korea provides a detailed list of its nuclear arsenal,” said Ko Myung-hyun, a researcher at the Asan Institute for Policy Studies. “Whether the summit takes place or not ultimately comes down to Trump’s ability to persuade the security establishment in Washington. If he agrees to the second summit without progress on denuclearization and declares an end to the Korean War there, the consequences will be enormous,” Ko said.